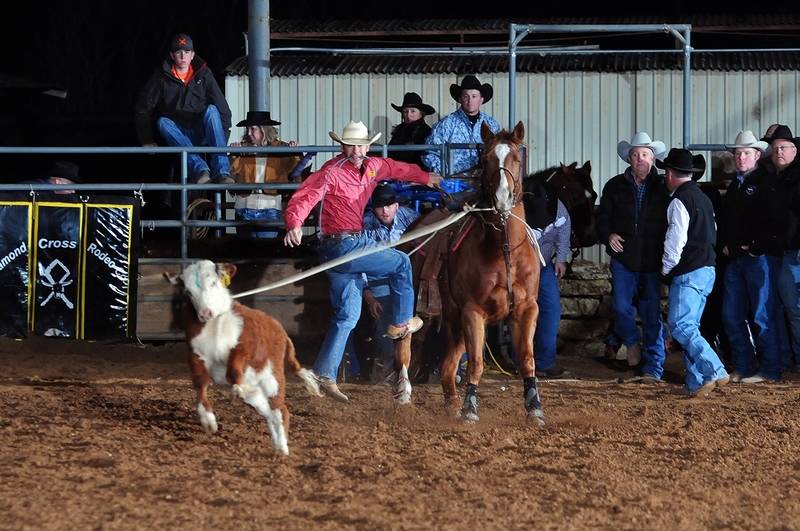 Cole Moody ties his calf in 8.39 seconds at the Diamond Cross CPRA Winter Series at Tejas Rodeo on January 4, 2014. Moody finished in fourth place for the event. 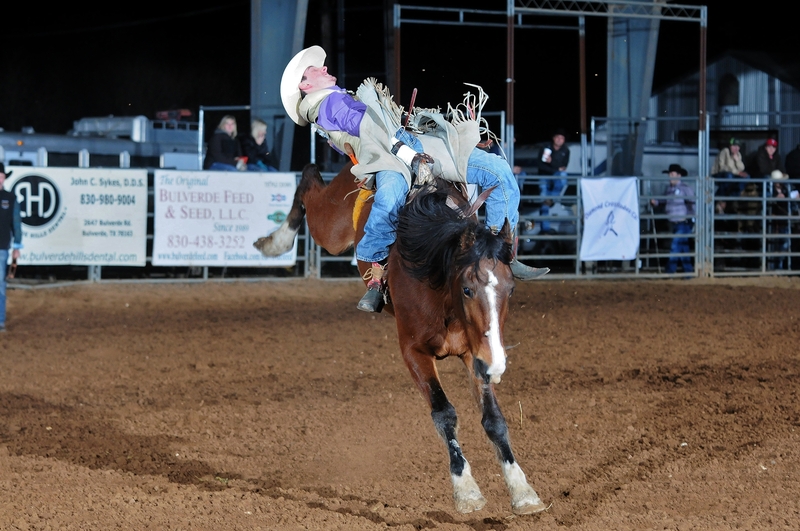 Brandon Bankston comes up a little short of the whistle on H88 “Indian Blanket” at the Diamond Cross Rodeo CPRA Winter Series at Tejas Rodeo on January 4, 2014. 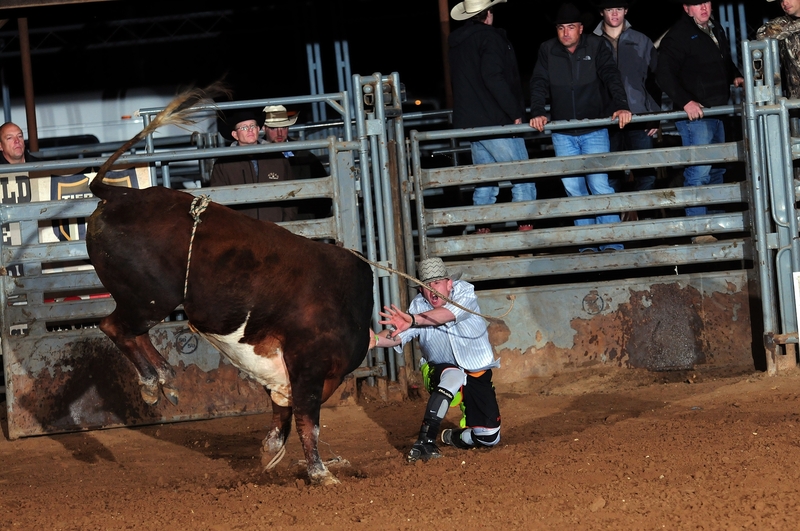 Bullfighter Cameron Warren appears to be attempting to “use the force” on this bucking bull at the Diamond Cross CPRA Winter Series at Tejas Rodeo on January 4, 2014.